Elan River Village Apartment Homes for rent in Escondido, CA is located in the desirable North Escondido. The community is alongside a serenely wooded bank and quiet creekside setting. The community is minutes from the rich history, culture centers, and world-class performances, as well as other internationally-renowned art attractions. Whether you want to play a challenging round of golf, hike in scenic preserves, or bike down ranch or pine-covered mountains, your possibilities are endless. The community has beautifully upgraded units with well-equipped kitchens, breakfast bars, wood burning fireplaces, custom window coverings, updated lighting & ceiling fans, floor to ceiling linen closets, and extensive balconies and patios. The community also boasts a sparkling pool & relaxing spa, clubhouse with pool table and kitchen, playground and BBQ area, fitness center, tennis court, private garages and covered parking, and friendly on-site Staff with full-time emergency Maintenance to meet all your maintenance needs. Elan River Village welcomes cats and dogs; please see our pet policy as some restrictions may apply. We are conveniently located east of Interstate 15 and minutes from Highway 78. Enjoy major retail shopping and dining at the Westfield North County Fair, which offers three stories of big-name retailers, visit the San Diego Zoo Safari Park, Escondido History Center at Grape Day Park, Stone Brewery, and World Bistro & Gardens, or explore a wide variety of restaurants and Four Diamond Hotel Casinos. 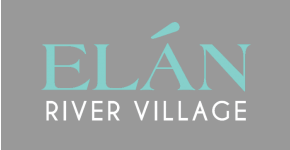 Come and experience quality living at Elan River Village. You may never want to leave home!